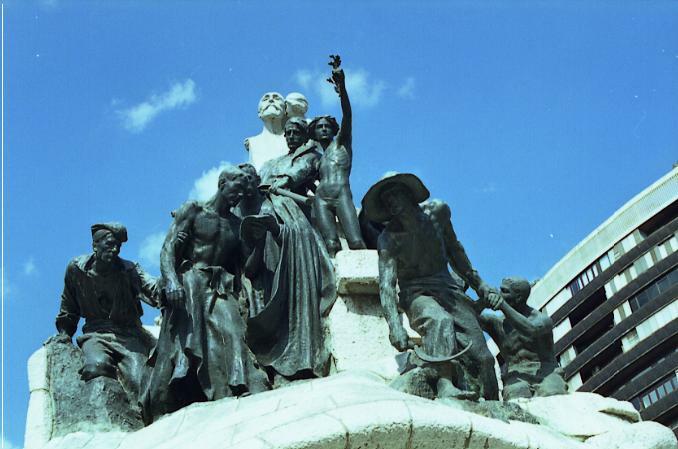 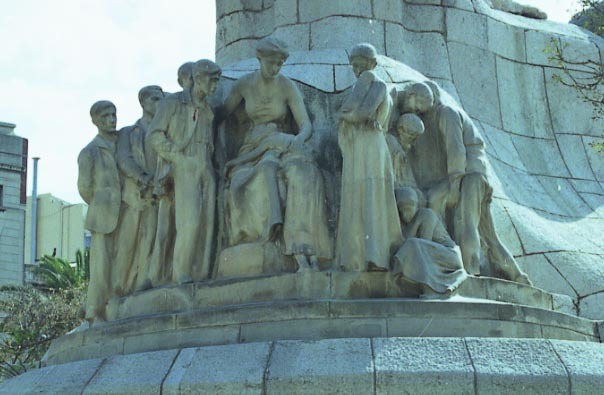 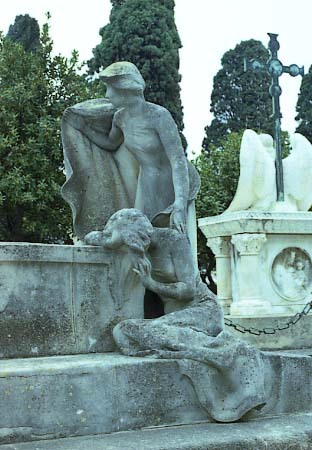 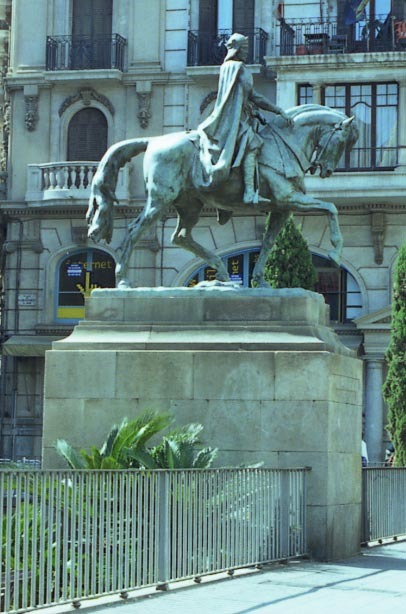 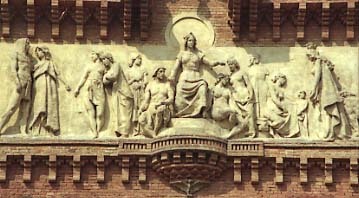 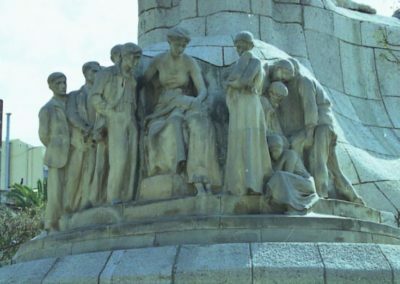 His earliest works were Academic in style, and were typically historical and allegorical in their choice of subject, including famous national figures such as the already mentioned “Ramon Berenguer el Gran” (a Count of Barcelona – 1890), the multi-figure frieze on Barcelona’s Arc de Triomf (Triumphal Arch) representing “Recompense” (1887), and the marble figure of “Modesty” (1891). 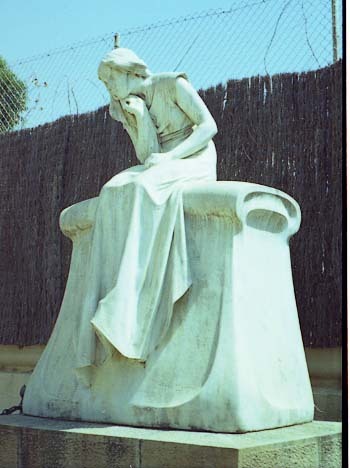 He founded jointly with his brother, the painter Joan Llimona, the “Centre Artístic de Sant Lluc” (Artistic Center of Saint Luke), a Catalonian artistic religious association (both brothers were deeply religious) – at present a prestigious institution in artistic circles in Barcelona. Later, his style veered fully towards the Art Nouveau ( Modernista), his models and influences deriving from the work of Rodin and Meunier.”The first communion” (1897), the famous “Desconsol” (Distress – 1907), which won the Prize of Honor of the International Exposition of Fine Arts in Barcelona that same year, and now located at present in front of the Parliament of Catalonia, and “The Idyll”, belong to this period. 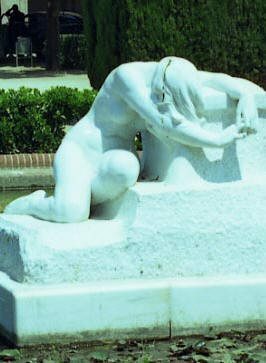 From 1900 he began to sculpt his famous female nudes, each of which are celebrated for their great elegance, veiled eroticism and smooth melancholy, characteristics that he developed as one of the most noticeable elements of his work. 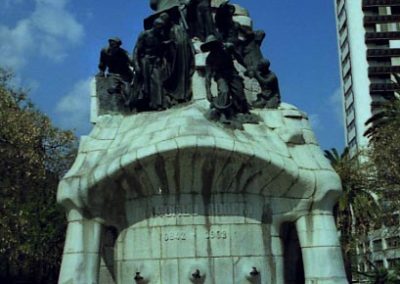 In 1914 he created his impressive “Christ Resurrected” for the monumental Rosary of Montserrat in collaboration with Gaudí. 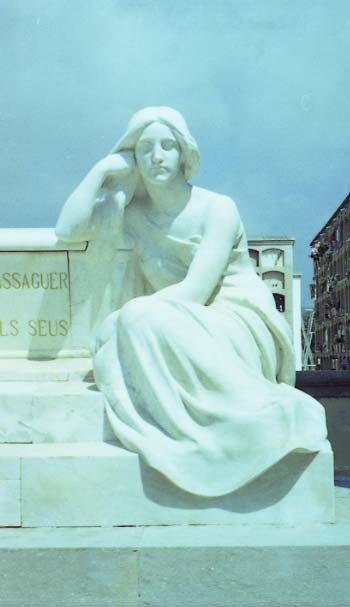 museums activity. 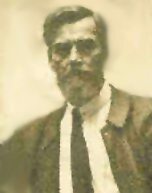 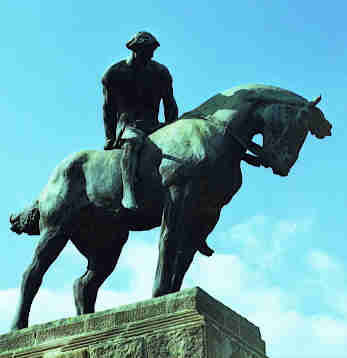 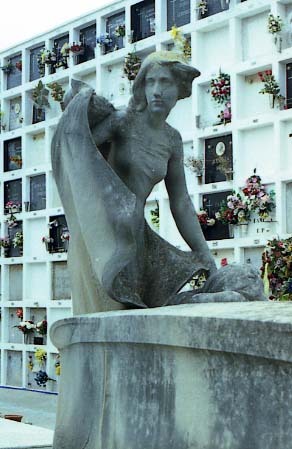 Josep Llimona i Bruguera, died in Barcelona in 1934. 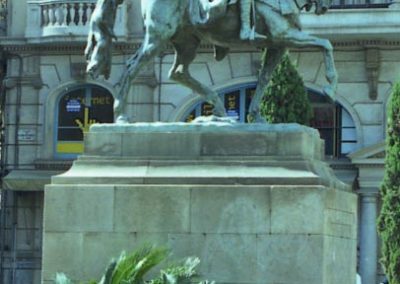 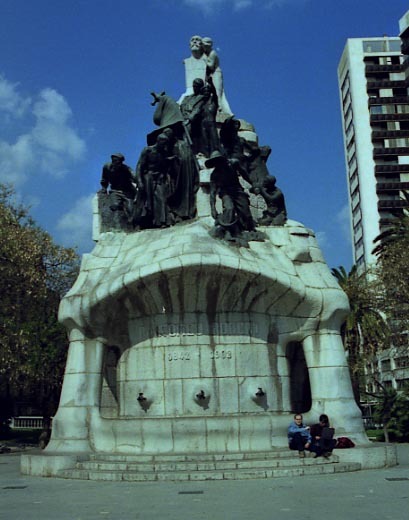 This monument was erected by the city in University square, dismantled during Franco dictatorship and re-erected in Tetuàn square in 1988.